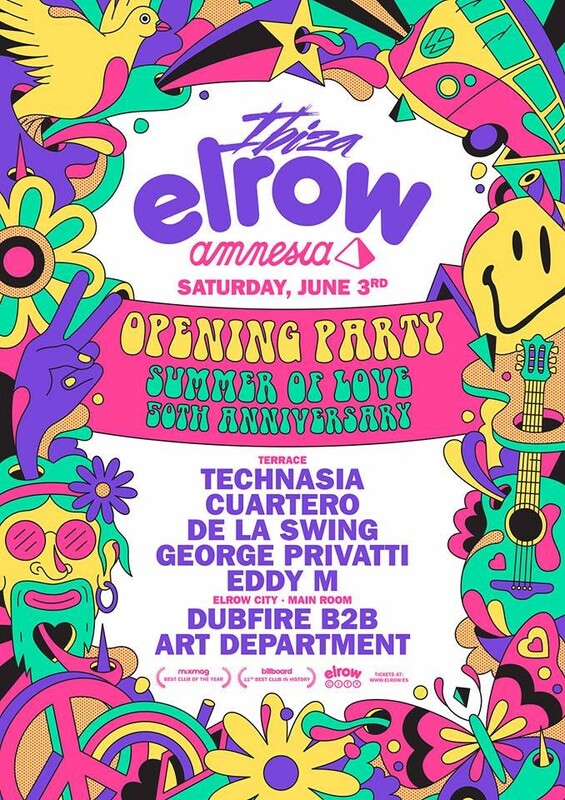 elrow has announced the line-up for their Ibiza opening party, which is set to take place on Saturday 3rd June at Amnesia Ibiza. Spinning in the main room, called elrow city, will be Art Department b2b Dubfire. The terrace will feature Technasia, De La Swing, Cuartero, Eddy M, and George Privatti. Each week the notorious party will see a different theme, with this year’s opening blowout entitled Summer of Love. Tickets and the full season line-up are available here.